Ever notice these signs along the side of the freeway? 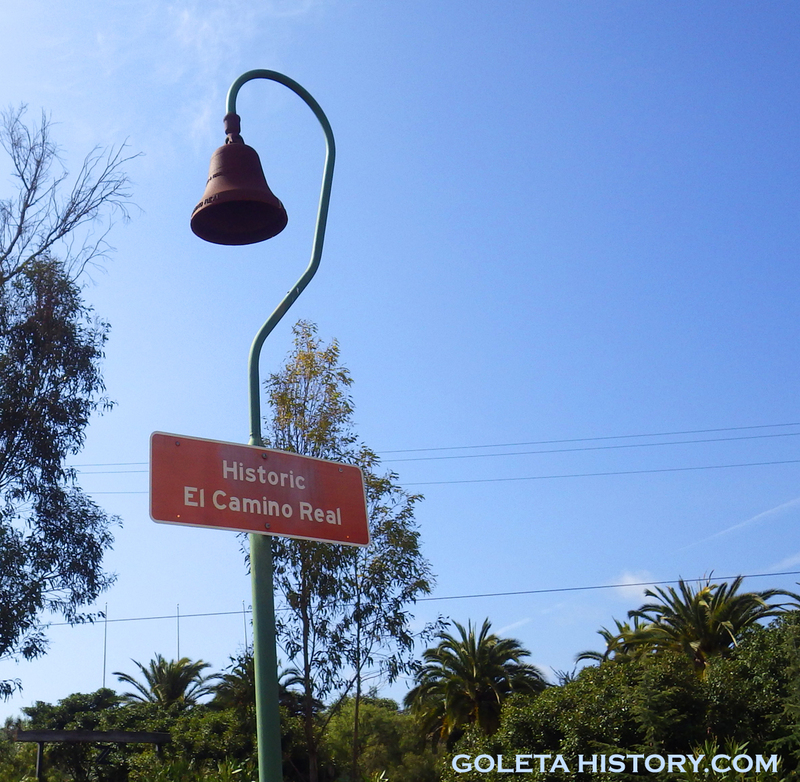 El Camino Real means The Royal Highway in Spanish and it was created by the Spaniards to get between the missions throughout California. 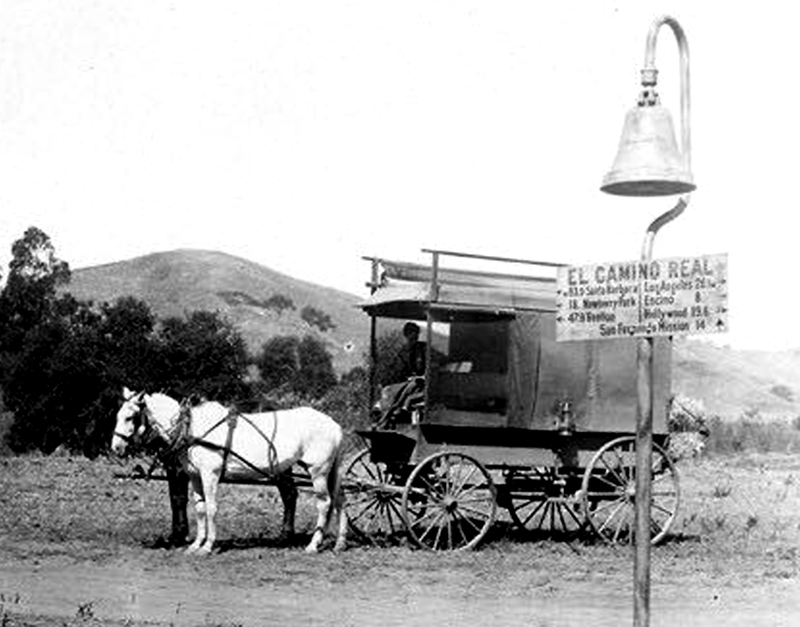 Originally, the Camino Real was just a footpath, but in 1859 the Overland Mail Company started a campaign to improve the roads through Santa Barbara County. By 1861, the improved roads were completed, but still pretty rough by today’s standards. The padres must have chose a pretty good route, because the stagecoach road through the Goleta Valley followed the Camino Real. In fact, most of Highway 101 today still follows their original trail. 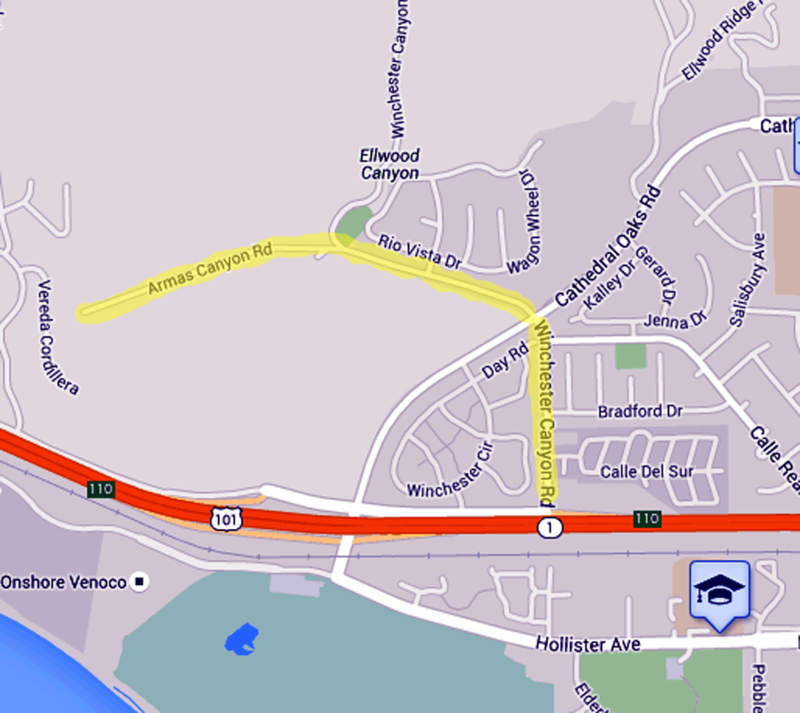 One area that our modern freeway differs from the old Camino Real is in the Ellwood area of Goleta. 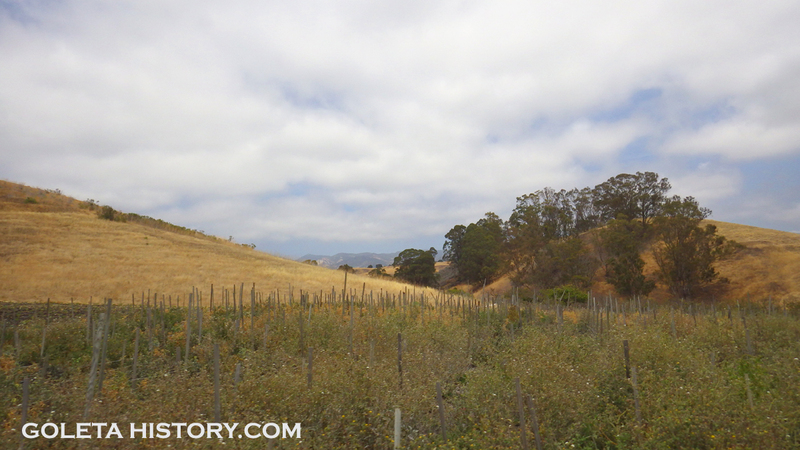 Just past the Winchester Canyon Road exit, heading north, you pass through what we call the Tecolote cut. Looking at it today, you would never know there was a steep hill here, but there was. In fact it was so steep that the only road through had to detour around it for years. 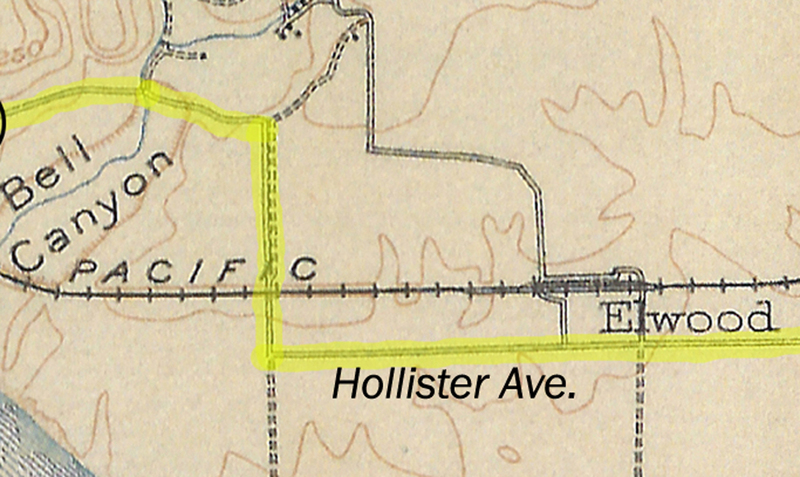 This map from 1903 shows Hollister Avenue in it’s present location at the lower right, but notice the sharp turn towards the mountains. 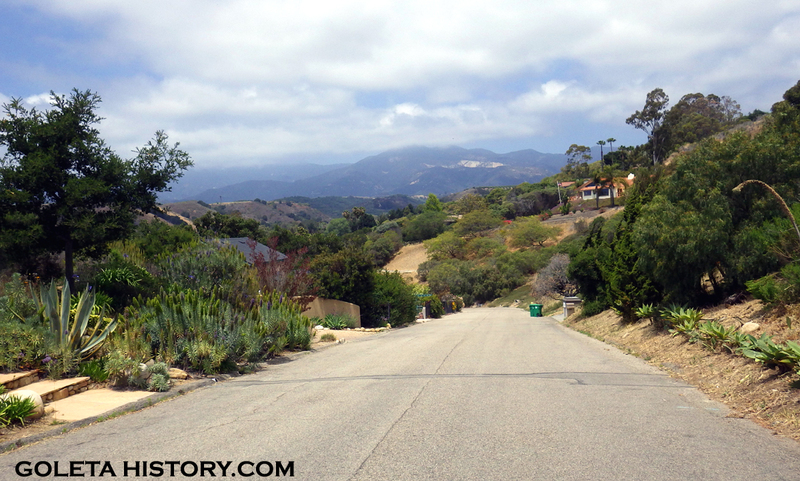 The reason for this unusual turn was to negotiate the very steep hill at Tecolote Canyon. The detour went through what was then called Las Armas Canyon. Las Armas Canyon was what Winchester Canyon was originally named by the Spaniards. It means the weapons, but why they named it Canyon of the Weapons, we don’t know. When Robert Winchester came along, he changed the name of the canyon, but the old Spanish name is still on some roads…..
Like this one. 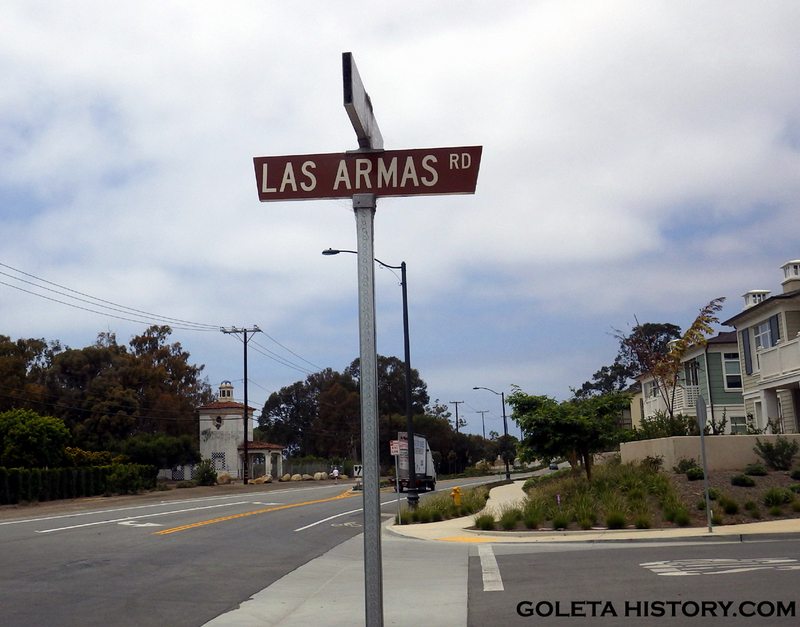 Las Armas Road is where the old El Camino Real took that sharp right turn. We followed the old route to see what it looks like today. 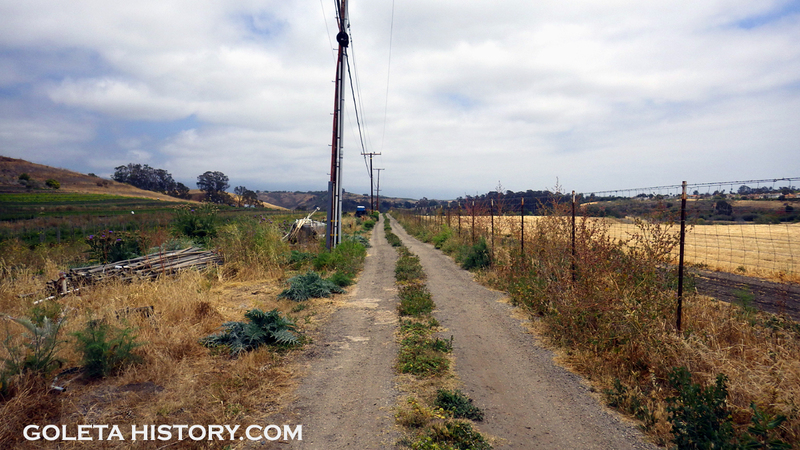 At the dead end, you can look across the railroad tracks and the freeway and see how the road used to go straight through. 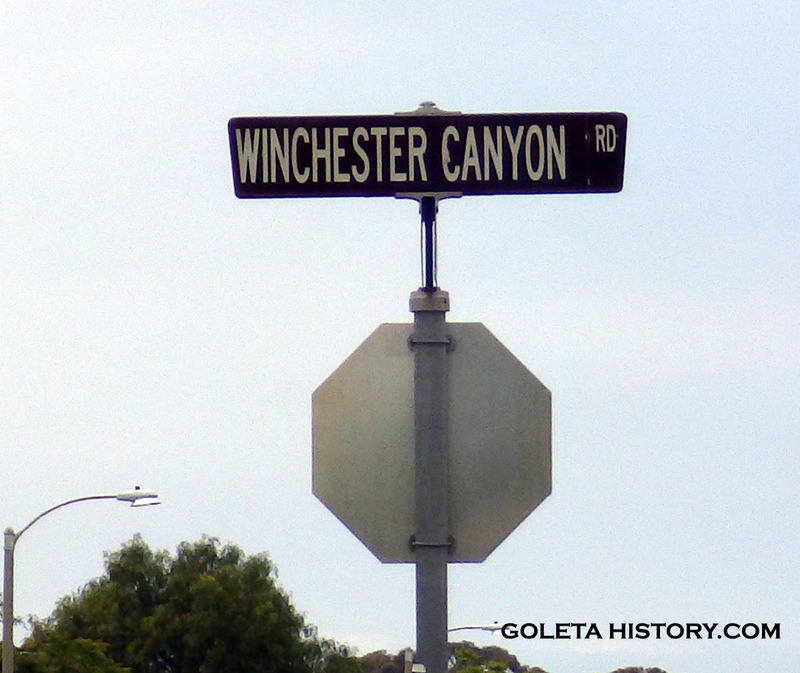 Today, north of the freeway the same street is now called Winchester Canyon Road. 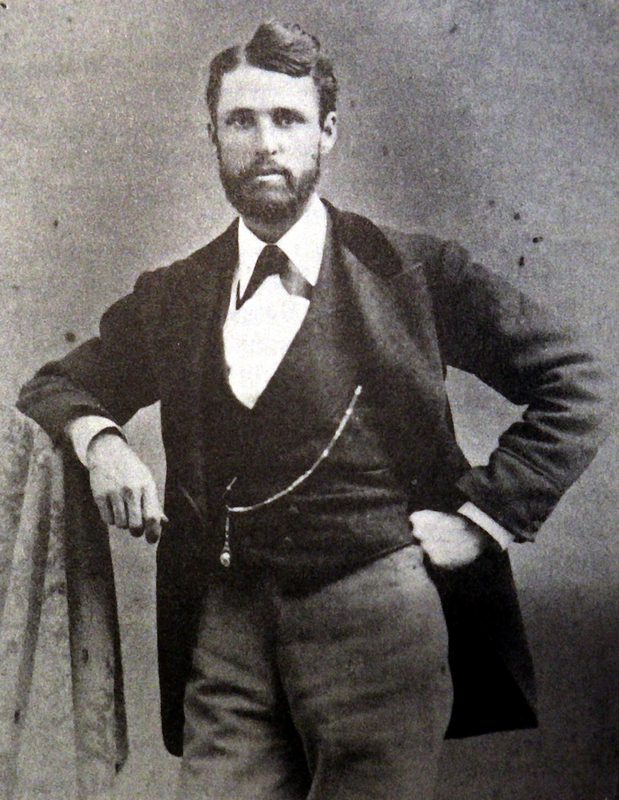 Named after Dr. Robert Winchester, who bought the canyon from Nicolas Den’s son Manuel in 1870. On the floor of the Winchester Canyon, the private Armas Canyon Road spurs off of Winchester and climbs the hill over to Tecolote canyon. Today this is a private ranch road, but driving on it feels like you’ve gone back in time. The view towards the mountains hasn’t changed much since Mr. Winchester owned this ranch. It’s not hard to imagine the stagecoach rolling along this road. 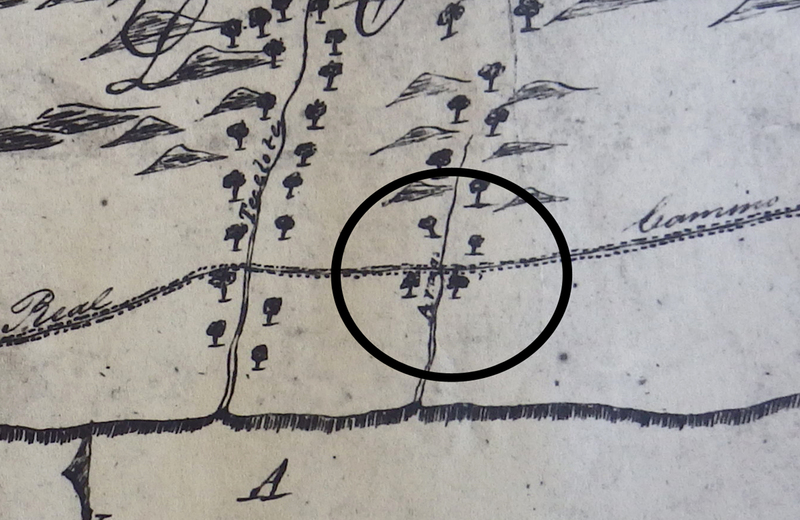 Circled on this map is the location of a little known bit of Goleta history. At the top of Tecolote hill there was once a school, appropriately named, Tecolote school. 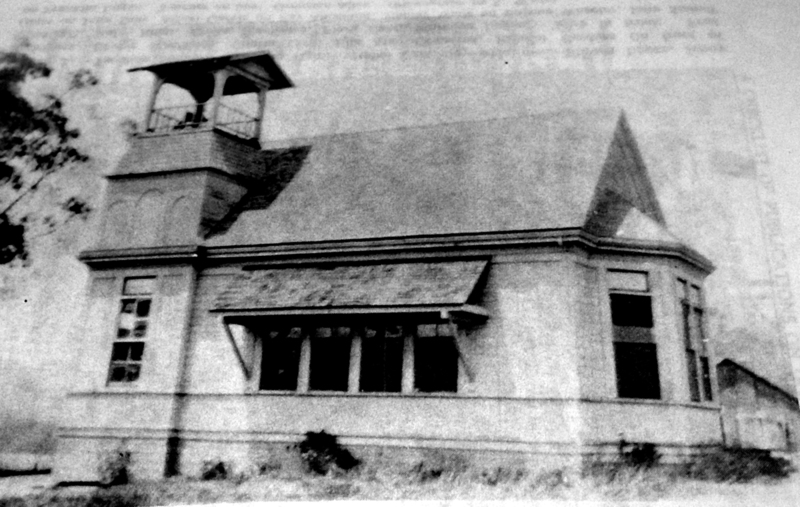 The Tecolote school was built in 1893 to accommodate the children of the farmers in that area. It was a one room schoolhouse with an incredible ocean view. Tecolote school student Stanley Wade remembers watching oil tankers from all around the world line up to take on Ellwood oil. He and his friends would try to identify the flags on the ships from their vantage point up in the cypress trees behind the school. 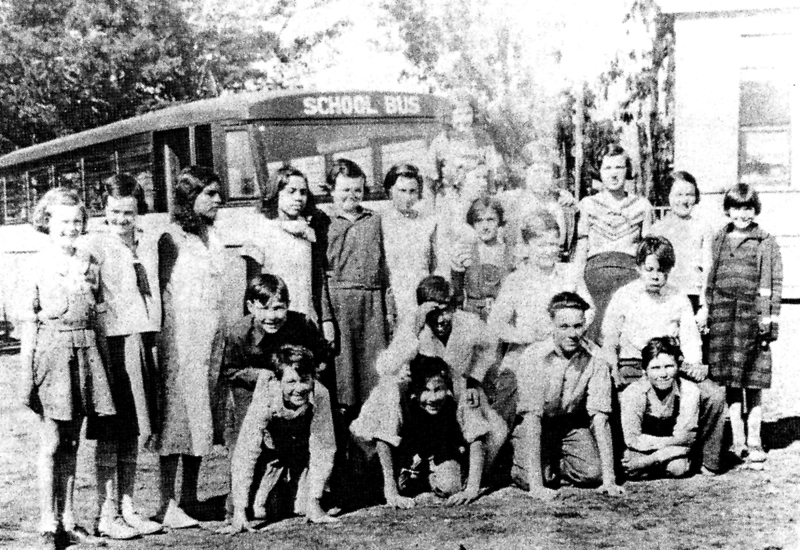 The Tecolote school served the area for about 40 years until the Ellwood School was opened around 1930. The building remained on top of the hill until 1949, when it was sold to and dismantled by a rancher named Billy Woods from Las Varas Ranch. Descending into Tecolote Canyon from the top of the hill is a pretty steep drop, and the site of a tragic accident. In 1891, W.E. 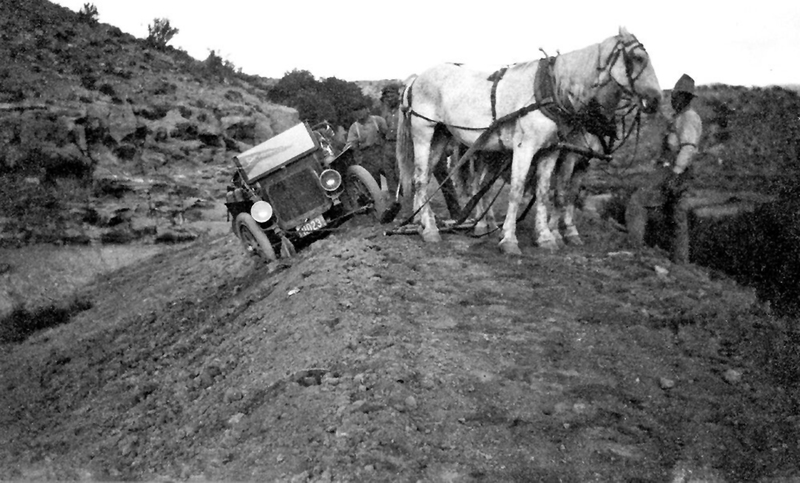 Nichols from Dos Pueblos lost control of his wagon on this descent. At the base of the canyon was a sharp curve that caused his wagon to flip and roll over on top of him. He died at the scene. The curve was straightened out shortly thereafter. 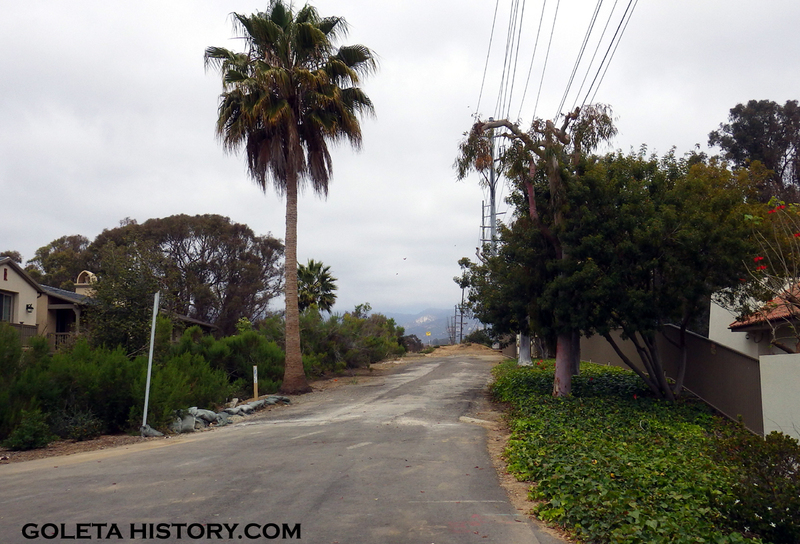 From the floor of the Tecolote Canyon, the road went through what is now Rancho Embarcadero, crossed Farren Road and rejoined the approximate route of today’s 101 freeway. The Tecolote hill met it’s match with this invention. The Fresno Scraper. 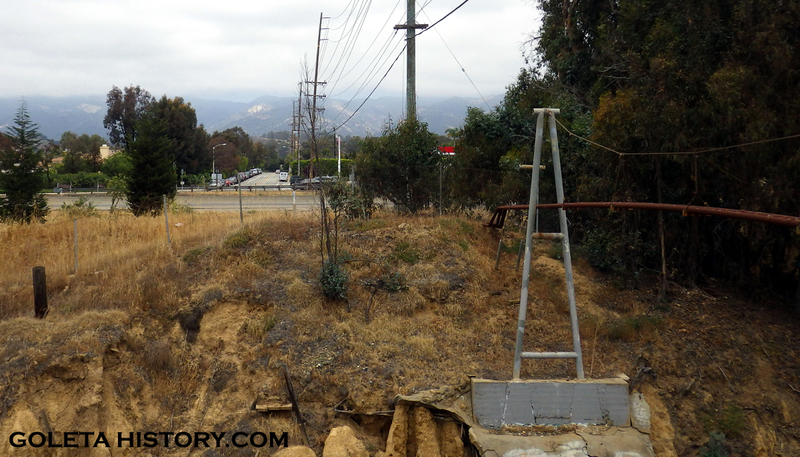 Originally made in the San Joaquin Valley to dig canals for irrigation, it also did a pretty good job making cuts through the hills of Goleta. 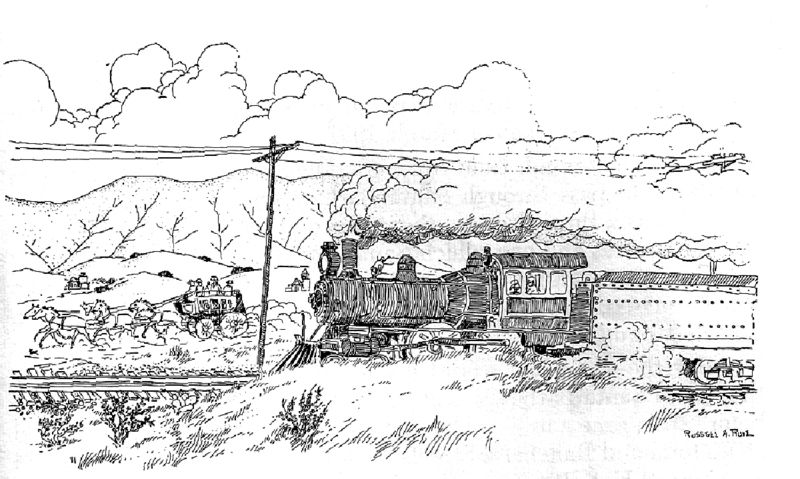 In 1899, the Southern Pacific railroad was determined to finish their coastal California route. 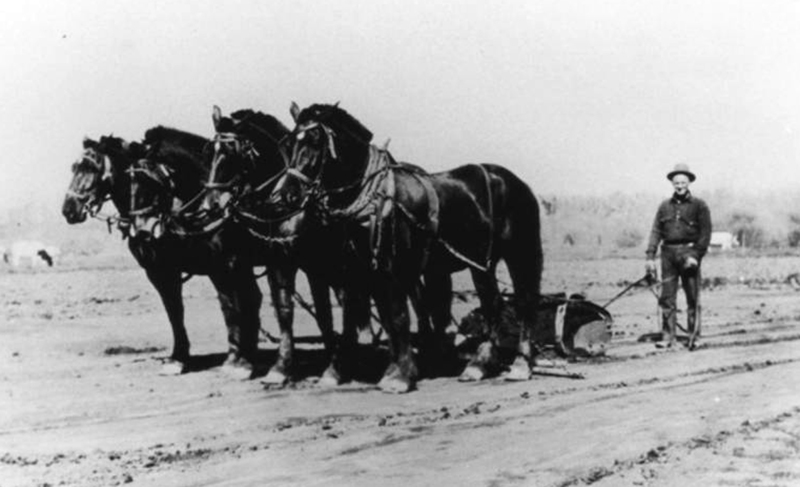 An army of men with picks, shovels and wheelbarrows, supported by the Fresno Scrapers, cut and filled their way across the Gaviota Coast. 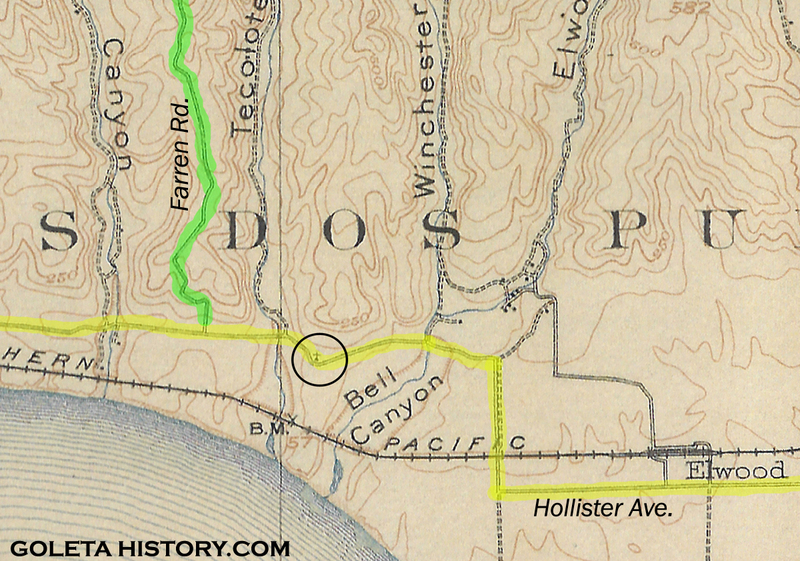 By 1901 they had finished the job of connecting Goleta to the rest of California making the stagecoach suddenly obsolete. For local travel, however, the Tecolote hill was still an obstacle. Around this same time, automobiles began to appear in Goleta, and the old stagecoach roads wreaked havoc on the primitive vehicles. As more people got autos, the more aggravated the citizens got about the road situation. 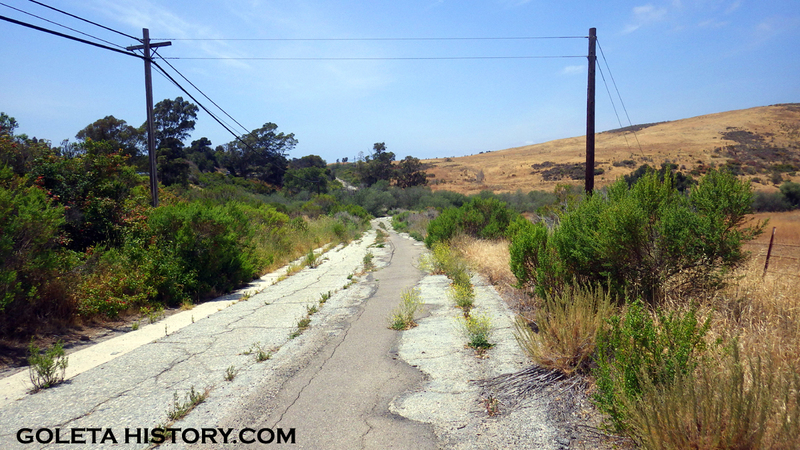 In 1912, the County of Santa Barbara finally decided to improve the roads through Goleta. 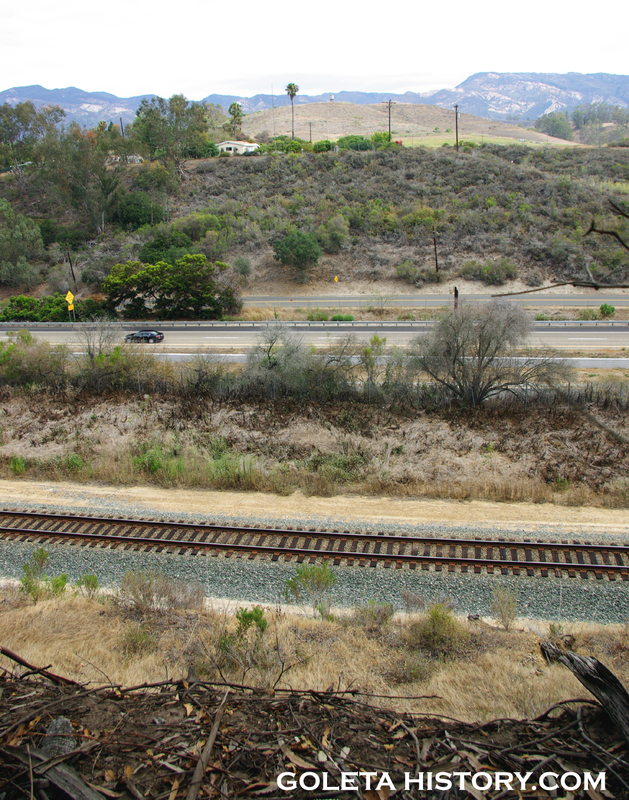 Once again, the Fresno Scrapers were brought in and they cut and filled their way across Winchester Canyon and all the canyons of western Goleta. Tecolote hill was reduced to a manageable incline, shown here in the process. The Scrapers made some deep cuts through Tecolote Hill. Notice the guy scaling the cut on the upper right. Once the roads were cut, asphalt was used to coat the dusty roads, and with that, the Las Armas detour was no longer needed. US Route 101 was established in 1926 and it followed much of the original route of El Camino Real. In 1947, the California Highway Commission mandated a major construction program throughout the state. 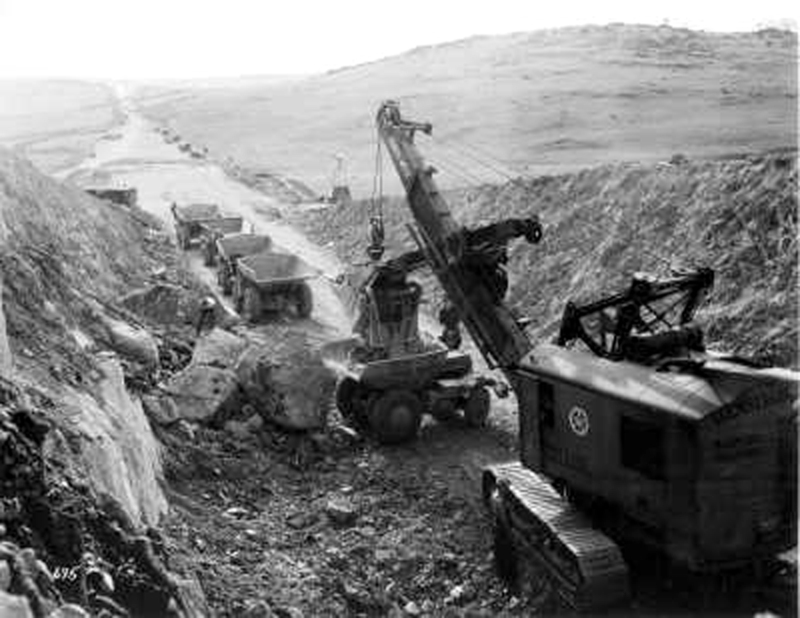 The heavy machinery used for this effort ripped through the Tecolote hill in no time, widening the cut enough for a modern highway. Looking down from on top of the Tecolote hill today it’s amazing how much earth was removed to accommodate the highway. So much, in fact, you would never know it was an obstacle at all. 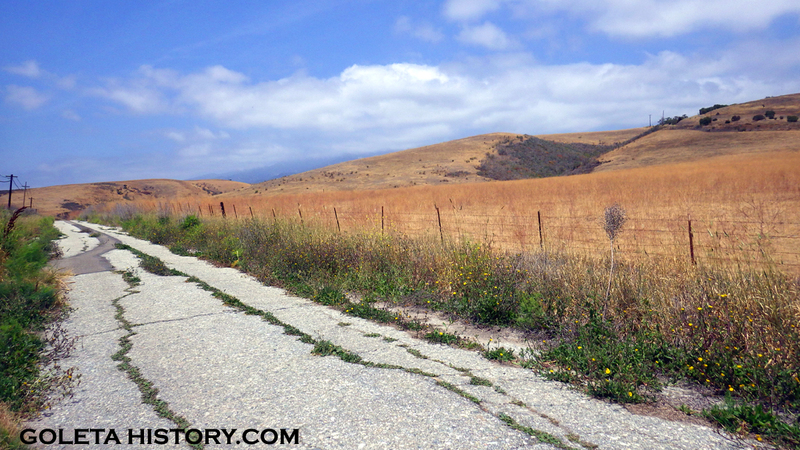 After passing through the Tecolote Canyon, the old highway from 1926 still exists, running alongside the modern 101 most the way up the Gaviota Coast. Fortunately for us, the views along this historic route are just as beautiful today as they were centuries ago. Love the history of Goleta, Santa Barbara, Please don’t Change the look of Old town Goleta. It is all that is left. I had an Ellwood student yesterday tell me that he lived on Winchester Canyon Road. We started looking up history on the area and ran across your fascinating article, Tom. Thanks for telling us about the history, some of it a stone’s throw from where we are sitting at Ellwood School! I hope this article isn’t too old to get a response. I have recently come across two obviously very old, wood Tecolote #1 railroad signs. One reads, “Tecolote #1 – S – Cen S. Line” and the other reads the same except for the “S” is an “N”. I believe it means “Tecolote #1 – South – Central Short Line” and then the “N” in the other means “North”. I can’t seem to find any information on this railroad line. Can you help? Thanks in advance!